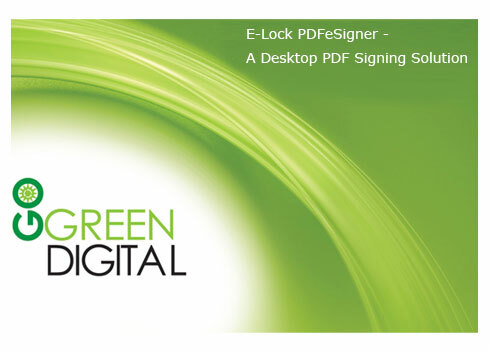 E-Lock PDFeSigner is a simple, easy-to-use desktop software for signing multiple PDF files in single click. This PDF signing solutions helps organizations to digitally sign, password protect and email large number of PDF files at once. This software comes with a feature of sending these digitally signed PDF files through email using your e-mail system. PDFeSigner saves time, costs and efforts involved in process of printing, signing and distributing files. PDFeSigner is ideal for processes signing documents like HR letters, PO's, invoices, statements, reports, TDS certificates etc. that can be signed and processed in bulk. The software signs these PDF files and can mail these signed files to the recipients/ employees email ids. The signing and mailing can be done in bulk, this saves time by undertaking the entire process in just few minutes.